Lesson 19: "Simple" Doesn't Equal "Better"
"Not just another social action or service project how-to book, this supplemental educational resource help adults teach young people how to think about a broad range of social issues, not just what to think about them. Thematic lessons and inspired examples help students in grades 6-12 comprehend long-term change and the costs of sustainability." 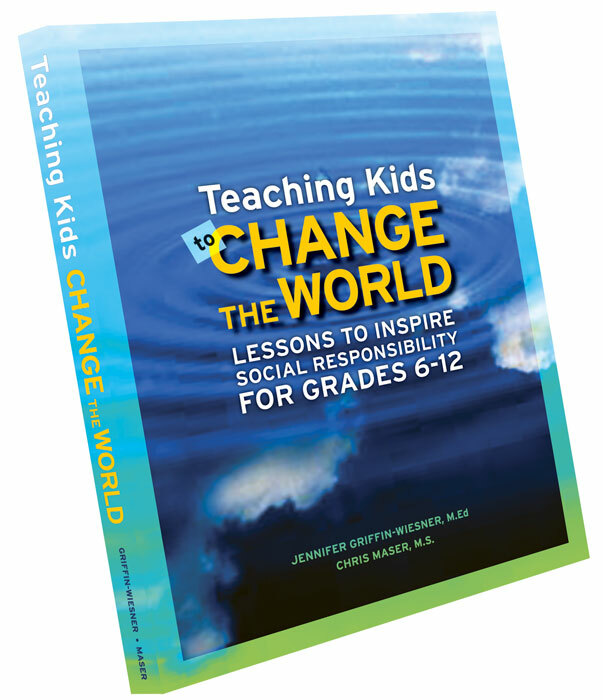 "Through a series of modules, this resource offers educators and youth-group leaders a means of inspiring social consciousness and action among youth and teaches young people how to think, rather than what to think. Without money, power, or the right to vote, how do children and teenagers find a voice in society? How can educators and leaders talk meaningfully with students about such broad concepts? Avoiding partisan politics and moral debates, this resource equips educators with philosophical discussion questions, concrete illustrations, and active examples. Each component sets forth a theme or principle about change; a classroom experiment or activity that illustrates the theme; and an example of a social action or service project in which young people can participate to help create the change they wish to see, showing youth their role in the societal and environmental changes that occur across decades or even centuries."